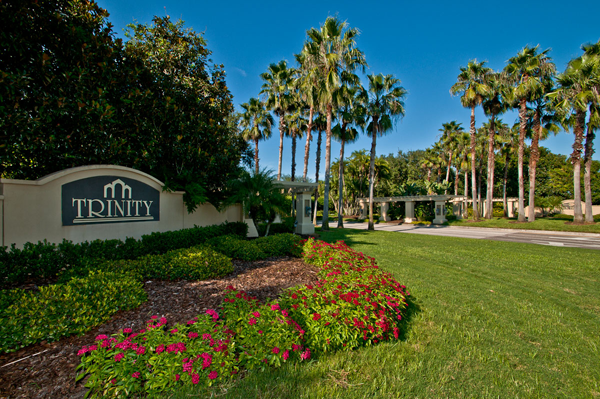 Poised at the corner of Southwest Pasco and Northern Pinellas County, Trinity continues to flourish by the day. Shopping, new restaurants, salons, doctors’ offices and other essential businesses have popped up as home buyers flock to an area with ample room for new development, in addition to the existing homes constructed by preeminent builders. To accommodate this growth, brand new medical facilities, one-of-a-kind boutiques, rolling golf courses, and country clubs that rival any in the tri-county area grace this thriving community. The premier course designed by Robert Trent Jones Sr. is featured in the magnificent Fox Hollow Golf Club. 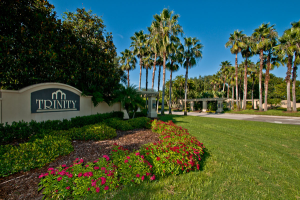 Minutes from the East Lake Corridor to the south and the Veteran’s Expressway to the east, Trinity is ideally located. Major cultural centers and metropolitan work centers are within easy reach, with home a peaceful, tree-lined suburb.